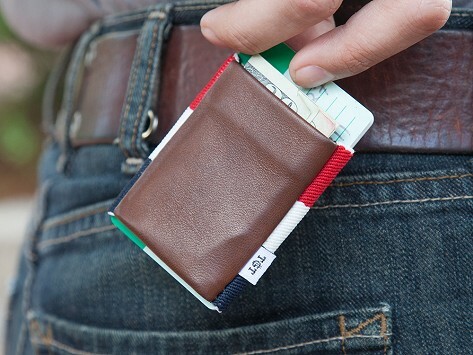 American-made minimalist wallets that are beautiful with a lightweight attitude. Handcrafted from custom elastic designed on the East Coast with an ultra-soft, premium leather pouch. 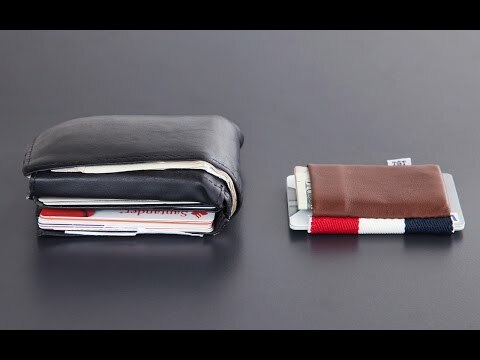 Carry cash and a few cards without adding any extra bulk. Discreet and low-profile enough to even put in a front pocket. Dimensions: 2.75" x 2.25" x 0.35"